Europeans love to gamble, it a central part of the culture and is widely accepted as an enjoyable pass time. As a result it is no surprise that there is an abundance of top quality casinos across the continent and any gambler who wishes to travel and visit some excellent casinos at the same time will not find themselves stuck for options. Europe’s largest casino is The Casino Estoril. It is located just outside of Lisbon, the capital of Portugal. The casino is home to roughly 1,000 slot machines and loads of table games including roulette, blackjack, poker and baccarat. Additionally, The Casino Estoril was the inspiration for Ian Flemming’s book Casino Royal as during World War II it was a gathering spot for spies, royals and wartime adventurers. Visitors to the casino can enjoy a diverse range of shows, some excellent exhibitions at its art gallery, a number of night clubs and top quality gambling. 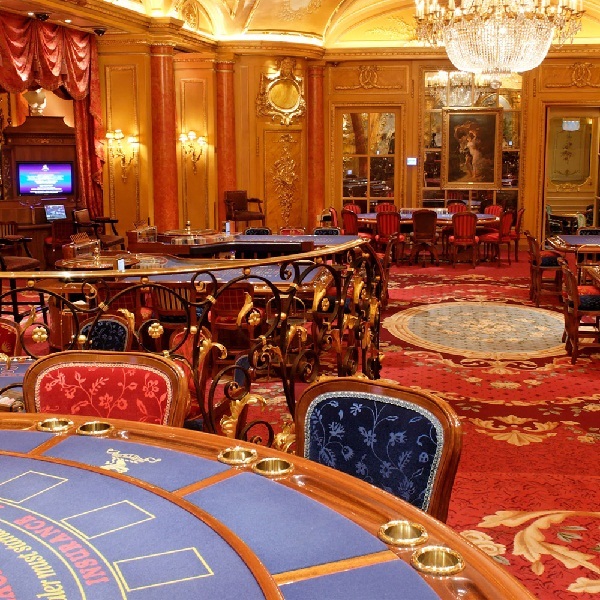 Of course Europe’s most famous casino is the Monte Carlo Casino in Monaco. It is one of the world’s oldest casinos and has been in continual operation since the 19th century. The casino offers a huge amount of tables for those that enjoy card games and while at the tables players can enjoy some fantastic views of the Mediterranean Sea. In addition to card and table games the casino also houses over 1000 slot machines and is considered to have the largest collection in Europe. As well as the fantastic gaming on offer the Monte Carlo Casino is also famous for its architecture. It was designed by the same architect that worked on the Paris Opera House and the casino has probably featured in more films than any other. Those in Germany should be sure to visit the Casino Baden-Baden. It is one of the most beautiful and oldest casinos in the country. The casino first opened in 1809 and since then it has been providing its patrons with top quality gambling. Over the years the casino has undergone several renovations under the auspices of some of Paris’ best designers. As a result it has unique interior and exterior designs that have become world famous and led to some calling it the most beautiful casino in the world. Literature fans will be interested to know that after visiting the casino Dostoyevsky was inspired to write his short novel ‘The Gambler’. Visitors to the casino can enjoy a wide range of table games as well as a few hundred different slot machines. If you’ve always wanted to visit Spain then a trip to Casino Barcelona is a must. The casino is located in the stunning Port Olimpic and it offers its visitors enough choice that all gamers are sure to enjoy their time there. There are 53 gaming tables to choose from, more than 210 slot machines as well as video poker games and other video terminal games. The casino is host to a wide range of special events and also offers some great gastronomical choices. Furthermore, poker players can time their visit so that it coincides with PartyPoker’s World Poker Tour Barcelona tournament and try their luck out against the locals. If you’d like to try out a truly exclusive casino then The Clermont Club in London is probably the place to go. The casino has a rich history of exclusivity and sophistication that dates back over 50 years. It was initially setup to offers British aristocrats and celebrities an exclusive experience that they couldn’t find elsewhere. The casino is housed in the only surviving town house by William Kent and people often say that its architecture alone makes it worth a visit. The casino offers its visitors a great number of games to enjoy as well as discreet and customised gambling in private gaming rooms. While at the casino visitors can enjoy excellent food and wine in the restaurant as well as a drink in an intimate bar and lounge. However, those who want to visit The Clermont Club should be aware that if they are not dressed in formal clothing then they will most likely be refused entry.